Muro is a small agricultural town in the north of the island of Mallorca, located in the County of the Plain of Mallorca (Comarca de Pla de Mallorca). It is also common that, in addition to the town of Muro, including the resort of Playa de Muro, on the coast of the Bay of Alcúdia. 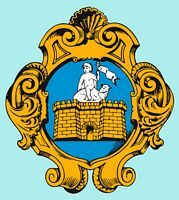 The population of Muro - a little more than 6,000 inhabitants - who once devoted to agriculture, is now used mainly in the services and construction-related tourism. The population of the entire town is about 7000 people. The largest part of the Albufera Natural Park located on the territory of the municipality of Muro. The name of Muro seems to be of Roman origin and could come from the aspect of ’wall’ (from Latin murus wall) showed that the hill on which the city is built, when approaching by sea Moors resumed the Roman name and named the city "Muruh", the city was part of the "juz" of Algebelí, one of the twelve "juz’ of the Muslim Mallorca. After the Christian reconquest by the Catalans, the country was divided into two entities: St. John of Muro (Sant Joan de Muro) and St. Margaret of Muro (Santa Margalida de Muro), corresponding to the current common Muro and Santa Margalida. 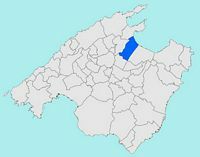 The town of Muro is located in the north of the island of Majorca, 10 km inland, south of the lagoon S’Albufera. Muro is located on the northern edge of the Plain of Mallorca (Es Pla de Mallorca). Since the coastal road Ma-12, on the western outskirts of Ca’n Picafort, the small road Ma-3431 led to Muro, through a very flat landscape dotted with windmills. Muro is built on top of a hill overlooking the Alcúdia Bay (Badia d’Alcúdia), a few hundred meters above sea level, the city enjoys a convenient location in the middle of a well-watered fertile plain and protected from strong winds and frost in the north of Serra de Tramuntana. Its elevated position puts the flooding. The municipality of Muro is adjacent to the municipalities of Alcúdia, Llubí, Sa Pobla and Santa Margarita. Muro is one of the oldest cities of Majorca in 1300, she was recognized as a town (villa) by King Jaume II of Majorca. This long history Muro some historic buildings. Muro is a little sleepy town, dotted with large mansions built by wealthy former landowners. However, his visit to discover the authentic island life in Mallorca. The bus stop is located on the Place de la Constitution (Plaça Constitució) near the Church of St. John the Baptist and the Town Hall. 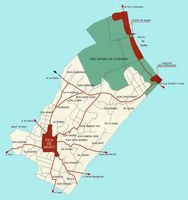 This is where the bus stops from Palma and local buses Ca’n Picafort and Port d’Alcúdia. 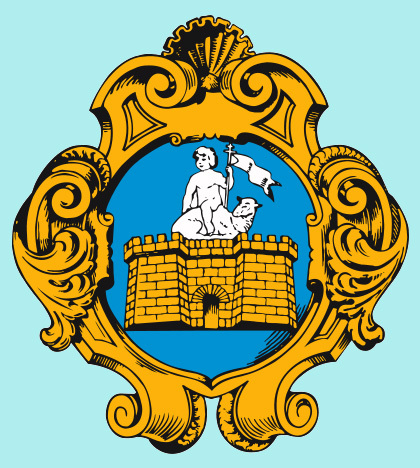 The parish of St. John Baptist de Muro was founded by Pope Innocent IV in 1248. The first church in the Gothic style, was built in the fourteenth century. The present church was rebuilt in the sixteenth century, from 1570, it has a colorful above the west door rosette, to the east, the church is connected to a bell by a thin bridge. This bell is an imposing square tower of seven levels, partly designed as a watchtower. 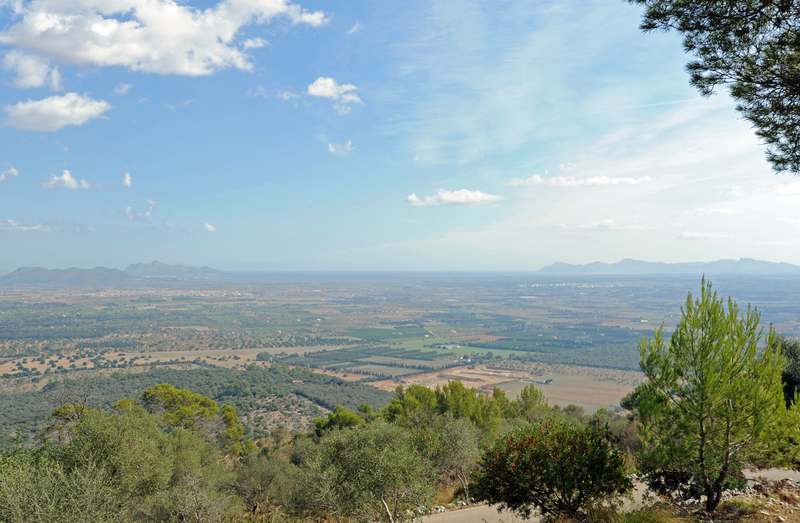 Where it is possible to reach the top, there is a magnificent view of the coast of the Bay of Alcúdia. The Church of St. John the Baptist is situated on Plaça Constitució and is open from 9:00 to 13:30 and 16:30-20:30. Admission is free. The Ethnographic Museum of Muro was installed in 1965 in a former mansion of the seventeenth century, Casa Alomar (1670). The museum has large collections - a bit incongruous - old tools used by craftsmen, agricultural materials, household utensils, furniture and costumes. As the Museum of Sa Granja to Esporles and the museum of Els Calderers to Sant Joan, the Ethnographic Museum of Muro, an authentic representation of traditional life in rural Majorca early twentieth century. In the beautiful courtyard with orange trees, with typical well, you can see a water wheel, a water wheel with a horizontal axis which was formerly operated by a mule or a donkey (Sínia). The courtyard leads to blacksmith shops, a cobbler and a goldsmith, which expose the tools used by these businesses, we also see a collection of carriages. Inside buildings, the different parts have been fitted according to their function with traditional furniture and utensils. Thus, cooking shows pots, bowls and ceramic dishes, and an ancient furnace, the bedroom is furnished with furniture Majorcan style. An apothecary shop was restored, where you can see a collection of pots and ancient remedies used for the most common ailments, as well as amazing precision balance. Upstairs is a nice collection of "siurells" (clay whistles), painted figurines in white, green and red, created in a naive style. These figures, with a spout with a hole to whistle, depict animals, men on horseback carrying water and playing guitar, mythological figures or imaginary. These traditional whistles are now mass-produced as tourist souvenirs. 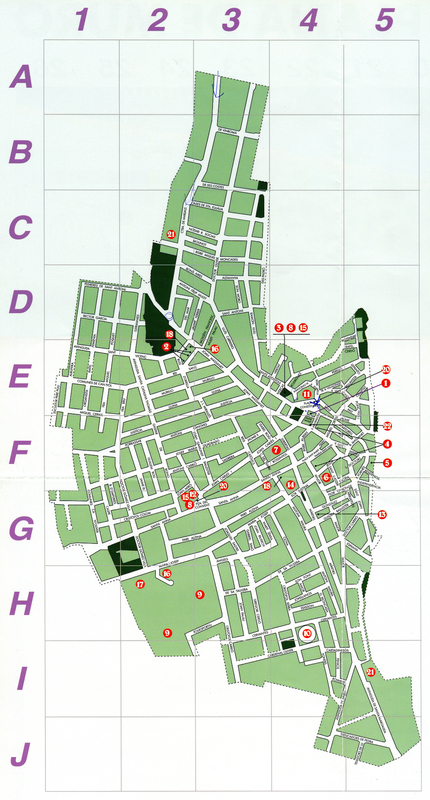 The Ethnographic Museum is located Carrer Major, 15 (number 6 on the map of the city). It is reached in a few minutes from Plaça Constitució. Hours: Tuesday to Saturday, from 10:00 to 15:00, Thursday from 10:00 to 15:00 and from 17:00 to 20:00. 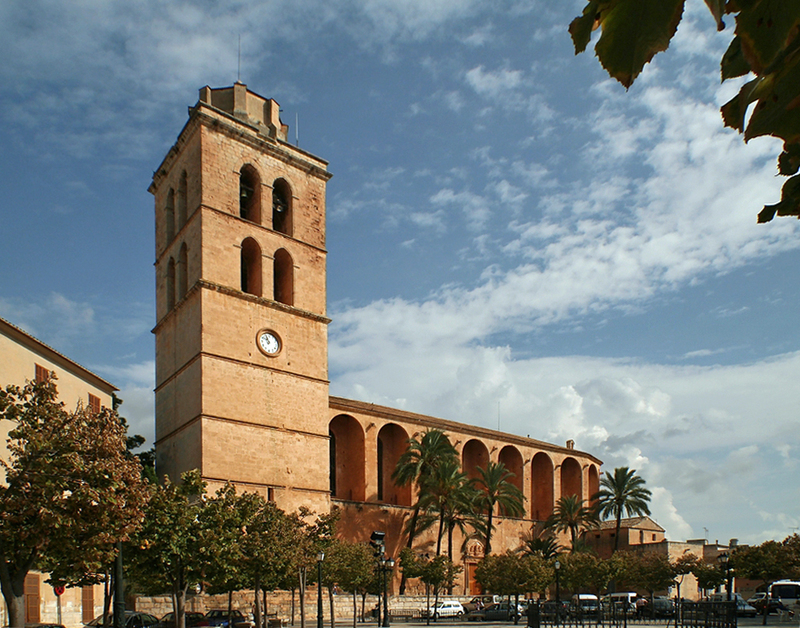 The Convent St. Anne is a convent of Minimes which dates from 1560, its cloister is from the early eighteenth century (1703-1728), the convent retains an organ unique procession in Mallorca. Number 12 on the plan of the city. The Oratory of La Sang dates from the fifteenth century. Number 13 on the plan of the city. These original arenas are called "La Monumental", date (1910) they were built in the former sandstone quarry de Muro. Some bullfights are still held. The Albufera Natural Park a marshy area is located in the hinterland behind the beach of Playa de Muro. The park is a popular spot for bird watchers: we can observe moorhens, coots, herons and flamingos, and many migratory bird migration season. The information office offers a map and a list of birds to watch. You can reach the park by bus from Port d’Alcúdia. Go S’Albufera Natural Park in Mallorca. The feast of Blessed St. Anthony Abbot (Sant Antoni Abat) held on January 17, the day takes place on the eve of Saint Anthony Abbot (Revetla Sant Antoni Abat), which is the occasion of popular festivities: music and dance around traditional bonfires and tasting just as traditional dishes: spicy sausages and eel pies (espinagades) made ​​with eels S’Albufera lagoon.